I am the third child in a family of four—two older brothers and a younger sister, all born in less than six years. Our family wasn’t wealthy, as a matter of fact, we were much less than wealthy, though we never knew it. We thought sharing a bed was normal, and a bathroom, and a closet, and clothes…as for entertainment, well, there was only one mother in the neighborhood who had a car and it wasn’t for carting kids around to play dates. 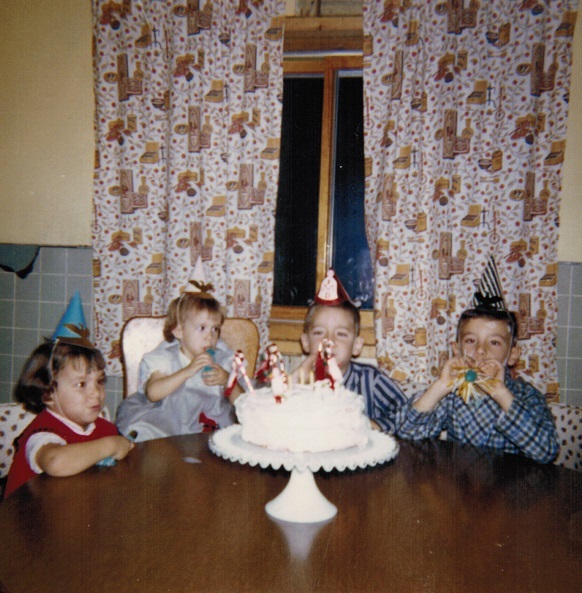 We spent our early childhood playing and working together, and of course, as siblings do, complained the oldest got favored and the youngest got spoiled, and the two of us in the middle got all the work. Even today, we think there’s a grain of truth in that, though our mother insists we were all treated the same. Any middle child will tell you that is doubtful! And so, The Butterfly Garden is especially important to me because it delves into sibling relationships and family hierarchy as children and as adults. It also deals with metamorphosis on various levels and an eventual letting go…of old beliefs, habits, rituals. Just as the butterfly sheds its cocoon to emerge in dazzling splendor, so too, if given proper nurturing and guidance, do we. I am so very grateful for my brothers and sister. Through the years we have leaned on one another, never more than a phone call away, listened with great empathy, advised with caution, accepted our differences, and above all, loved one another. That is indeed a cherished gift. Taken by surprise and unsure of the next step, Elliot and Jenny are about to discover that real life happens whether you want it to or not. Will they let real love happen, too?